Last weekend, I got go to my hideaway with friends, including one of my besties, which totally explains why it’s been so quiet around here. No computer access from Thursday to Sunday. The spammers had fun without me. They pelted my blog with 162 spam messages. Don’t these people have something better to do–like scrapbook? We didn’t hang out in our fuzzy socks all weekend. We were busy scrapbooking. Truthfully, I scrapbooked Thursday night and Friday morning. Yep, that was it. It used to be that I’d be the last one up late into the night. My theory was that I needed to use every waking moment to get as much scrapbooking done as possible. A few years ago, I decided that my time was better spent writing at these retreats, so now the albums are sadly neglected. I’m still the last one to go to bed, but I’m writing, not scrapping, and people in other groups ask me what I’m doing, and I tell them I’m writing a book, and they look at me like I’ve grown a second head. LOL. I love that look. It makes me laugh. But we don’t sit on our butts the entire weekend, watching Twilight Saga movies (the making-of extras were very entertaining), wishing The Avengers movie had actually been in the DVD case, or singing during the bar scene on 27 Dresses. We got up early everyday and walked for a couple of miles. Yes, rather than sleep late (my preference), we walked before it got too hot. This is Texas and August, and it’s 90 degrees by 10 a.m. No way were we gonna walk later than that. 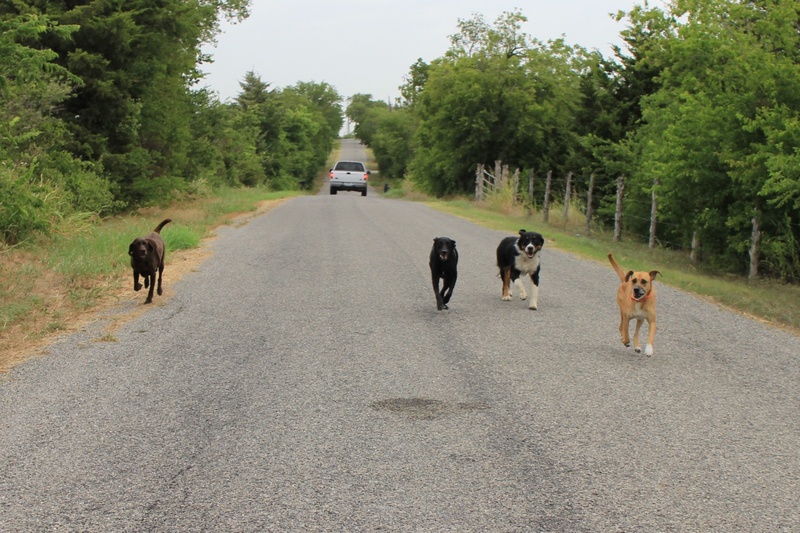 And, yes, out in the country, people really do let their dogs run free. 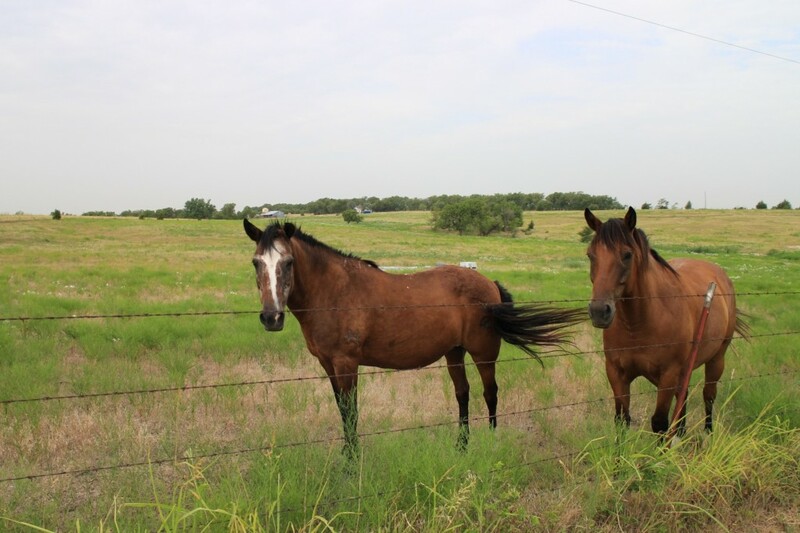 And some people do have horses in their backyards. What? My productivity for the weekend? You mean you expected me to do something besides chat and watch movies? Read and absorbed 3 lectures from Margie Lawson’s Empowering Characters’ Emotions lecture packet. I’m very excited about picking apart my last two books and fixing them. Finished the plot outline for my new book. It’s a lot darker than I thought it was going to be, so I have to decide if it’s middle grade or older. This is huge, because I’m a pantster, by the way. Maybe I should repeat it: I plotted. Finished the character sketches for my antagonists and a few of the minor characters. A very productive weekend. 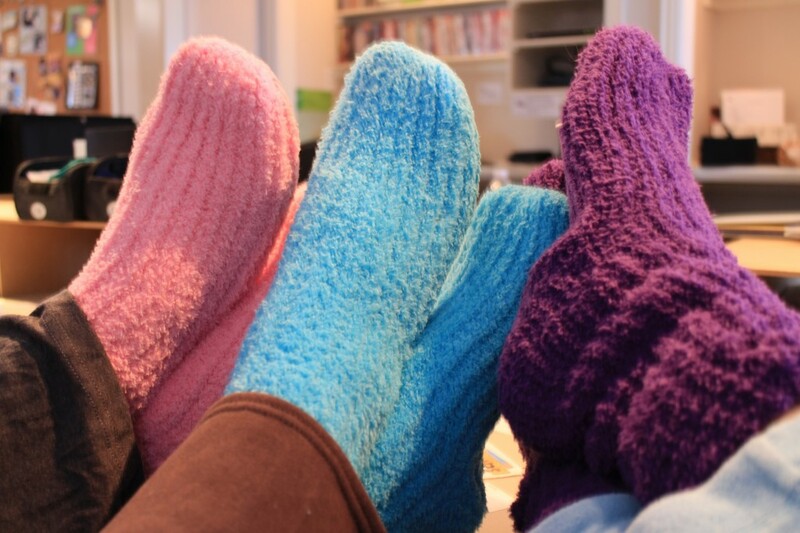 With fuzzy socks and friends (and no cleaning, laundry, cooking, or dishes): Priceless. Where’s your favorite weekend getaway? Where do you wish you could go? 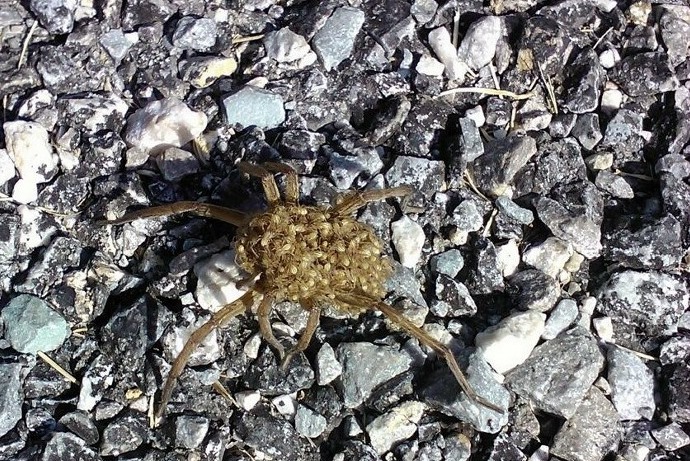 What would you do if you saw a giant spider like that?